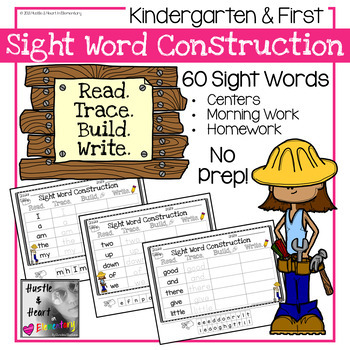 60 Sight Words to Read, Trace, Build, and Write! 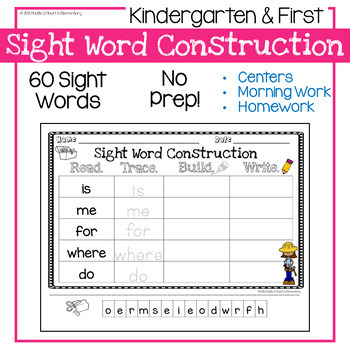 Included in this set are 60 Sight Words for Kindergarten. This could also be used as a first grade intervention. 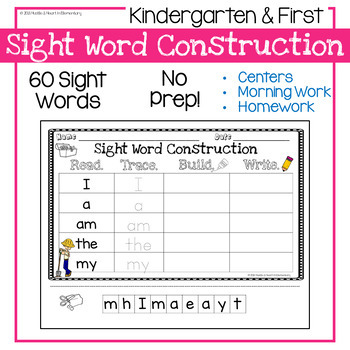 This is included in The Sight Word Bundle! The sight words are in the order that I teach them throughout the year in my Kindergarten class. We use Harcourt Storytown and combine those kinder words with Dolch. Students gain fine motor skills while practicing sight words. Print out the word pages. Cut out and glue the corresponding letters to build the sight word. 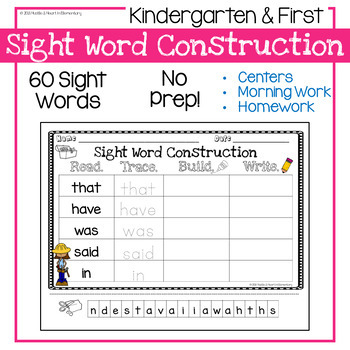 Lastly, students must write the sight word.